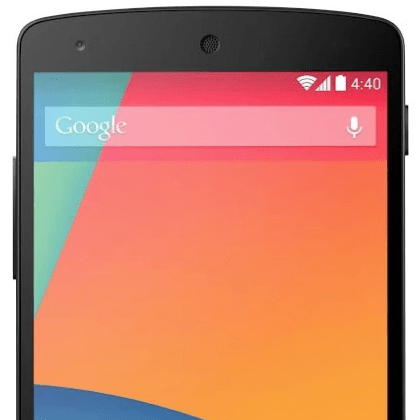 The LG Google Nexus 5 was finally launched yesterday afternoon and went on sale here today in the UK. So far the sales have been strong and many stores have already sold out of the Nexus 5. In fact I had to try 4 different stores before I managed to find one that had stock and I got the last one they had! So here is my Nexus 5 unboxing and hands-on video. I have to say, despite only having used it for a short time I am so far very impressed with the Nexus 5. If you follow me on Twitter you’ll know how much I love my HTC One but it may be possible that the Nexus 5 could soon see itself as my everyday phone. In the video below I’ll show you what accessories come with the Nexus 5 and have a good look around the hardware. We’ll then have a look at what’s installed and play with a couple of applications before running that customary benchmark. There’s a strange outcome there though but you’ll have to watch the video to find out! The LG Nexus 5 has an amazing specification for the money and in terms of sheer value beats just about everything out there at the moment. The video is a little long so I’ve cut out a few bits to be included in another video later on. With the launch of the Android 4.4 touting Nexus 5 yesterday it was just a matter of time before questions would be asked of the manufacturers of other phones as to if and when their phones would see an update to KitKat. HTC seem to have been the first to go on the record to talk about their update plans and Jason Mackenzie, president of HTC America has been talking to the guys at Engadget. 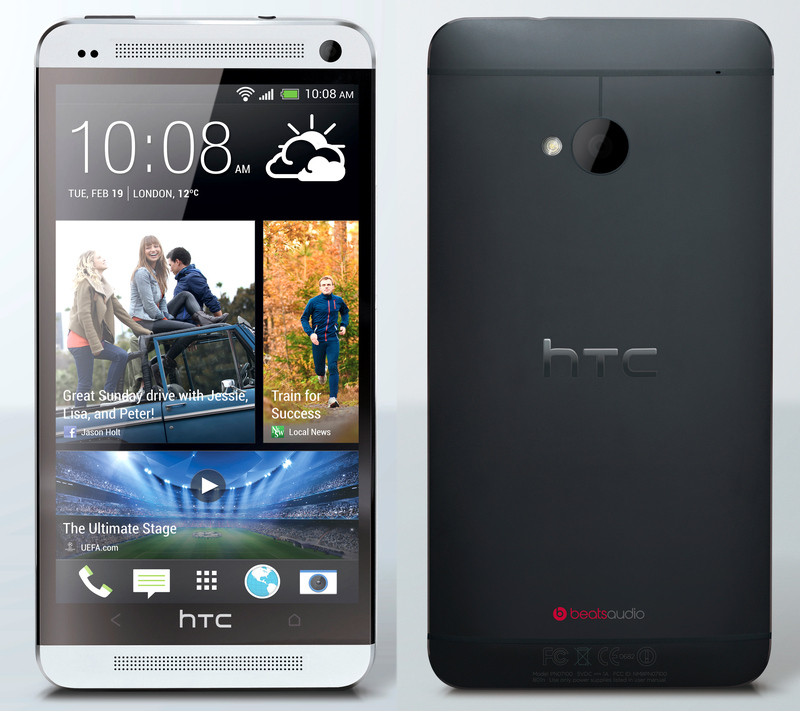 In an interview with Engadget, Mackenzie has confirmed that The Google Play version of the HTC One will see the 4.4 update within a staggering 15 days, followed by developer and unlocked versions getting the update in 30 days. All other remaining carrier variants will then have the KitKat update available within 90 days, possibly less. I just the past week or so HTC have released Android 4.3 and Sense 5.5 to HTC One devices and I’m already enjoying this update. No definitive news on when the HTC One Mini and HTC One Max will receive further updates and be taken to 4.4 but it certainly seems that HTC are going to take a more aggressive stance to updates going forward and I for one find this very reassuring. At the moment there’s nothing official from HTC as to when the Global updates will be made available, but I would expect to see these also on an accelerated time-scale. Fiber optic Internet was the biggest news on the market just a few years ago. Today, news about wireless Internet has overshadowed that of fiber optics, though people may not realize fiber technology continues to progress by leaps and bounds. 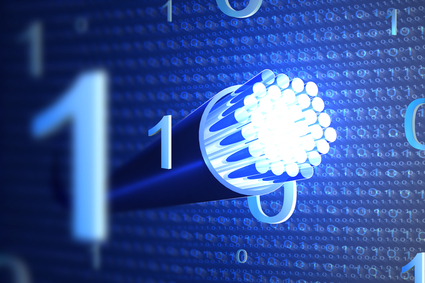 What new types of technology have made fiber optics a better way to get connected? Optical fiber can transmit light over distances, but any light coming through the fiber becomes filtered by the glass surrounding it. New fiber optic designs take away this limitation by channeling light through air rather than the glass, resulting in much more sensitive projections. This type of light control has not gone unnoticed by the U.S. Defense Advanced Research Projects Agency, who has launched a program to provide fiber optic light-intensive cables for sensors and navigational tools. Light can take three separate paths in these cables, for better bandwidth over distances, while achieving a higher speed than standard fiber cable. The announcement that TeraXion and CMC electronics are partnering to create new fiber optic transceivers may have a major impact in the Internet industry. These two leaders in the communications business look to take fiber optic to a new level by combining high volume components for high-reliability avionics equipment. These two companies hope to shorten their development cycle and develop better performing products for civil and commercial aviation communication, helping to pilot aircraft through dangerous weather and conditions. One of the largest breakthroughs in the fiber optic market hasn’t involved the technology’s speed or reliability at all. Instead, a new breakthrough allows for superior cleaning of existing fibers. Linden Photonics announced a new cleaning material, Lindex, that allows for eliminating contamination like grease and dust that clogs up systems. Photonics has claimed that Lindex may be as revolutionary for cleaning electronics as the invention of the Q-Tip, capable of picking up dust 50 times better than a Q-Tip. Though millions of miles of cable stretch back and forth across the world’s oceans, only a few companies have developed more water-friendly fiber cables. One of them, South Bay Cable Corporation, has managed to produce fiber optic cables that can do everything in a wet environment, including surviving up to ten thousand pounds of pressure. This will allow for more efficient coast-to-coast communication, as well as on ship-to-ship broadcasts where no other signal can be found. Though the monthly fees of wireless Internet scale above that of fiber optics, the difficulty in setting up fiber optic networks comes in the cost of laying the actual infrastructure. Corning Inc. released a study suggesting it may take $50 to $100 billion in costs to bring fiber optic Internet to every American. Americans hoping to get access to faster speeds should check the FiOS availability in their region to determine which provider works best for them. Since fiber optics represent the fastest and most reliable Internet connection, anyone subscribing to standard cable or Wi-Fi will find themselves paying more for less when fiber optics are available in their market. Google decided to show off the next-gen version of their Google Glass hardware. 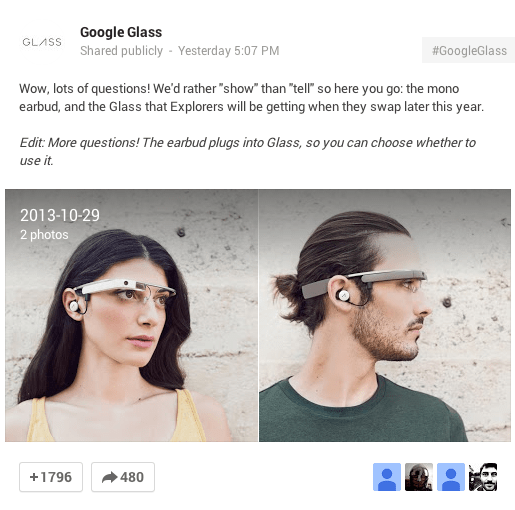 They previewed the image to the right on the Google Glass Google+ page. As you can see they would rather show than tell. The only real difference which is immediately noticeable is that it now has a mono earbud. We aren’t sure if this means they had to give up on the skull-vibrating setup in the previous version, of if this is just an additional option. Google also claimed they have improved the hardware, without getting into specifics. This post also serves as a reminder to Google Glass Explorers that they will be able to “trade-up” later in the year when this next-gen version is released. The only other detail that we can share is the new Google Glass will support prescription frames. Also, if you are already Google Glass Explorer, later this year you will be able to invite up to three friends to get a Google Glass.